Bartender Max Prashad serves up our latest mocktail recipe with refreshing flavours of apple and elderflower. 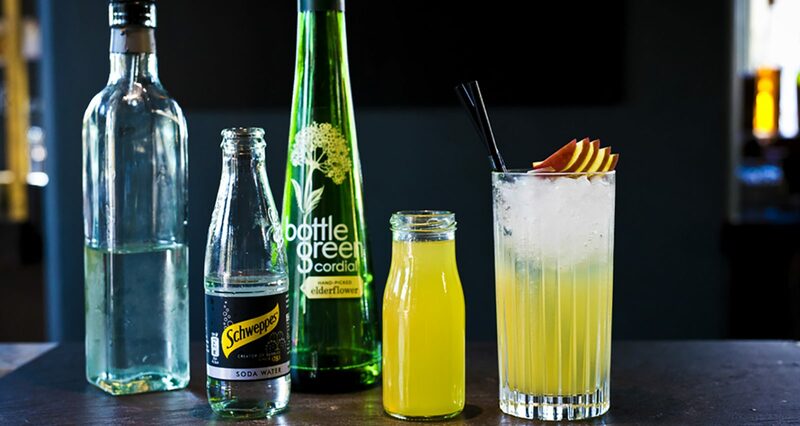 – Add the elderflower cordial and apple juice to a 12oz highball glass. – Fill about two thirds of the glass with crushed ice, add the gomme syrup and lime juice. Then mix with a bar spoon. – Top with soda water. – Garnish with apple slices.